Kirk Anderson likes living alone in his mountain cabin, or so he tells himself. He’s a monster, after all. 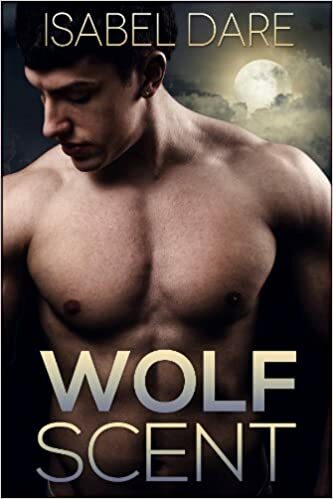 How would he ever find a man who can deal with his other self–the wolf? Dare can write, create worthy three dimensional characters, flawed and human. And relatable. Everyone we meet we feel for them, there is immediate chemistry between the two main title characters, Kirk and Joe. A bit of eye rolling goes on as you read, but overall they are well-written, the pace is somewhat quick and the plot is rushed, but overall, very readable and relatable. Dare gives us a short rundown of the history of place, we can visualize in our mind where it is, what goes on and who interacts. Interaction between Kirk and Joe is amusing, we see the strong, silent type of Kirk, withdrawn, even temper with Joe. Joe’s healing and interest in the taller, muscular Kirk. Overall, a good read and Dare continues that with each subsequent book. Let’s talk about word count and price. Dare overcharges substantially for her work. There’s no doubt she’s talented but 1-20k words $.99, 21-50k words should be $1.99, 50-75k words should be $2.99, 71-over words should be $3.99 and big name writers can charge $4.99. No ebook should be over that price because there’s no overhead, no printing costs, no marketing, there may be an editor/proofreader and cover artist, but that should be eaten by the author as well as not a huge budget anyway.